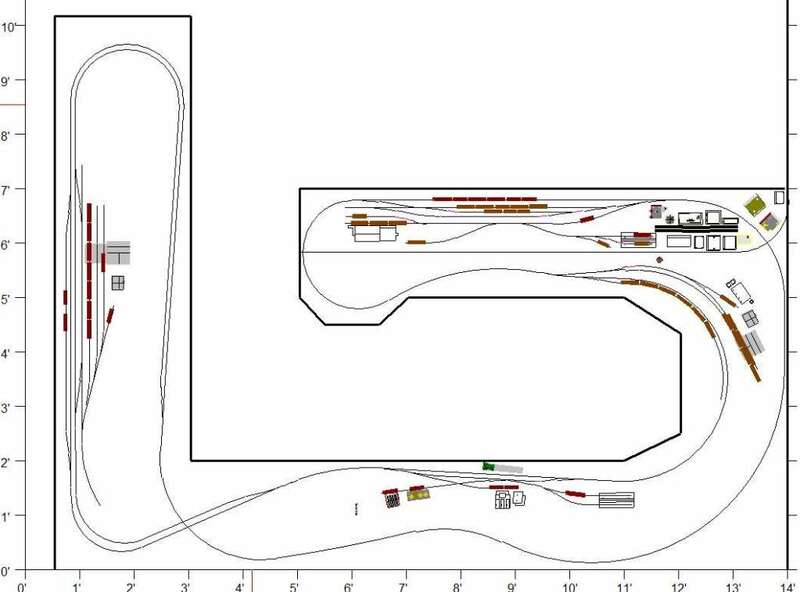 Well here is the current track plan, the bench work is complete now so it's on to the fun stuff. 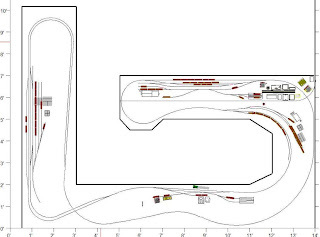 DCC bus has to go in first, which should be completed later today. 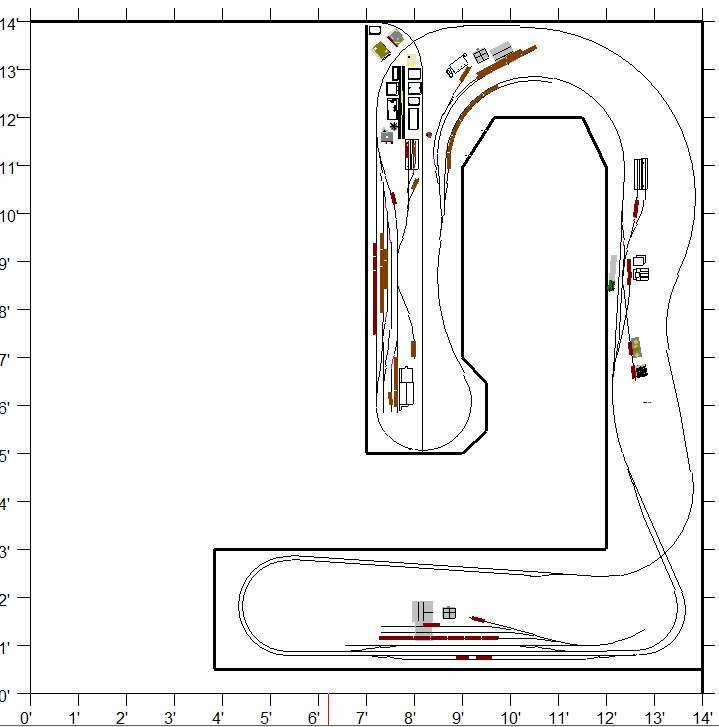 Once that is done its time to glue down the foam and mark out the track plan. 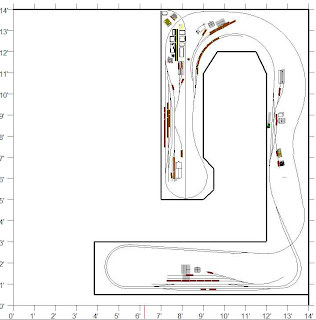 The first photo shows a zoomed in track plan, the second is the actual orientation in the room.